As an immunologist and allergist, I’m often asked, “How can I strengthen my immune system naturally?” In reality, it’s about training our immune system to do its job correctly. That is, we want to be able to fend off the things that can hurt us—such as viruses, pathogenic bacteria, and parasites—while remaining un-reactive to benign things like pollen and foods. In addition, we want to prevent our immune system from attacking our own body, as is the case in autoimmune disease. The bottom line is that a healthy body is dependent on a strong immune system; the good news is that there are many ways to perform immune-system upkeep and not just by avoiding some destructive habits, stressors, and toxins but by embracing natural immune boosters and adopting behaviors that support immunity. 1. Take a probiotic that has a broad array of species. Lactobacillus and Bifidobacterium are two of the most important families of bacteria that populate our gut from birth, and they have been shown to positively affect our immune health. Look for one that has at least 30 to 50 billion colonies and at least eight strains of bacteria. Double this dose if you’re coming down with a cold or have to take antibiotics. Remember, these are live organisms, and it pays to spend a little more on a good-quality brand. Most probiotics should be kept refrigerated to extend their shelf life. In addition, adding fermented foods—like sauerkraut, naturally fermented pickles, yogurt, kefir, buttermilk, kimchi, tempeh, miso, natto, and kombucha—to your everyday routine is crucial. 2. Avoid drugs and over-the-counter medications. 3. Take this triad on a daily basis. Zinc: 15 to 30 mg a day. Zinc affects multiple aspects of the immune system and even acts as an antioxidant by fighting off free radicals. It’s also a very common deficiency worldwide. Vitamin D: 2,000 IU daily. Although you can get vitamin D through some fortified foods and sunlight, our modern lifestyle doesn’t always allow for a lot of time outdoors, and many adults don’t get the levels of vitamin D required to modulate the immune system. This is a very important vitamin for the treatment and prevention of autoimmune diseases, in particular. Vitamin C powder: 1,500 mg daily. Vitamin C is really a powerhouse vitamin for immunity. A deficiency in vitamin C has been associatedwith an increased frequency and duration of colds, along with immune system defects. It’s also a crucial free-radical scavenger that significantly protects against infectious disease. One of the benefits of being breastfed as a baby is the protective antibodies we get from our mother. These antibodies get us through the first years of life while our own immune system is learning the ropes. This is why breastfed individuals are generally healthier and have fewer allergies as they get older. Colostrum is the “first milk” from nursing mammals, and it’s a rich source of these protective antibodies, as well as anti-inflammatory substances like lactoferrin. Luckily, we can harness the power of colostrum even as adults to help fight inflammation and strengthen our immune system. In powder form from grass-fed cows, goats, and other mammals it can be mixed in smoothies, water, and juice. My favorite is Mt Kapra Colostrum from grass-fed goats. 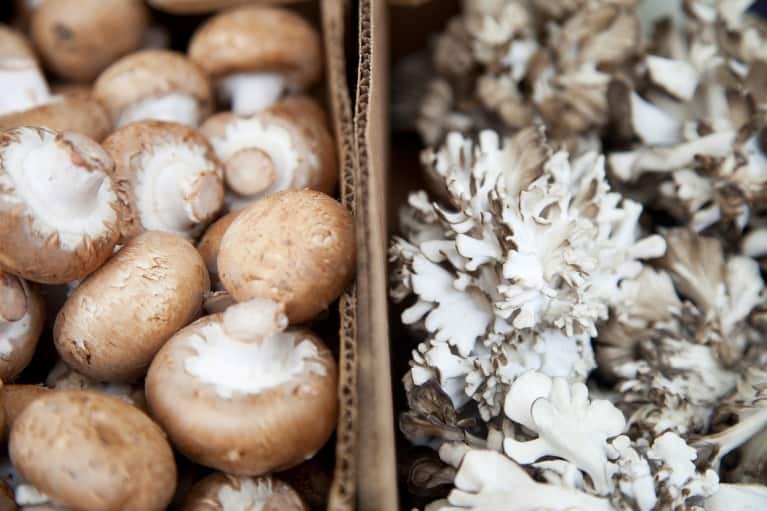 Some of the most powerful immune-boosting, antiviral, and anti-cancer substances are found in mushrooms. Reishi: Although not edible, these mushrooms have powerful antiviral and anti-cancer properties. They are best taken as a dried capsule supplement or in a tea or tincture. Shiitake: The delicious mushroom easily found in grocery stores contains substances called beta glucans, which stimulate the immune system and strengthen our white blood cells. Maitake: My personal favorite, these are also called “Hen of the woods” and are not only delicious but increase our immune cells’ ability to engulf bacteria. Mushroom supplements should be organically sourced and can be taken in tincture form as well as dried capsules. My personal favorite is the Host Defense line from the company Fungi Perfecti. 7. Harness the power of the sun. 8. Sweat it out in a sauna. Several studies show that using an infrared sauna on a regular basis not only improves the health of our protective white blood cells, but the increase in body temperature can actually make it harder for bacteria and viruses to survive. They may also have the power to decrease incidence of the common cold. In addition, when you sweat in a sauna you’re removing many toxins that would cause increased inflammation. Do you need any other excuse to jump into a toasty sauna on a freezing winter day? 9. Use natural antimicrobials to ward off infection. One of the best ways to build your immune strength daily is through superfoods. These foods can be incorporated on a daily basis so that you are constantly improving and boosting your immunity while eating yummy foods. Raw garlic: This superfood has very strong antimicrobial and antiviral properties. The potent sulfur compound allicin is known to treat serious GI infections such as SIBO (small-intestinal bacterial overgrowth) and kill parasites and yeast infections. At the first sign of an infection, start taking one raw garlic clove daily or use concentrated allicin extract. Oregano oil: This oil has a long history of being used and an antimicrobial, antiviral, and antifungal. It can also be used topically to treat antibiotic-resistant staph infections of the skin (MRSA) as well as taken internally to combat yeast infections. Manuka honey: Quite a bit of research exists on the benefits of honey as a natural immune booster, natural anti-inflammatory agent, and antimicrobial agent. Manuka honey in particular—native to New Zealand and Australia—is even registered as a wound-care product in those countries. Manuka honey has substances that can kill bacteria topically, and when ingested, it can even work synergistically with antibiotics to improve their efficacy. 10. Get your exercise on. 11. Take to your bed. Chronic sleep deprivation and disruption of the sleep-wake cycle cause an activation of the inflammatory immune response. Lack of sleep decreases the activity of T-cells (a crucial type of immune cell) and weakens our immune response to vaccines. Studies of identical twins show that the sleep-deprived ones had increased inflammation markers and worse immune markers. Aim for seven to eight hours of sleep on a regular basis and avoid all-nighters. If you travel through time zones frequently, use small amounts of melatonin (2 to 3 mg) to reset your circadian rhythm. Chronic stress actually suppresses our immune response by releasing the hormone cortisol. Cortisol itself interferes with the ability of specific white blood cells called T-cells to proliferate and get signals from the body. In addition, Cortisol also lowers an important antibody called secretory IgA, which lines the respiratory tract and gut and is our first line of defense against invading pathogens. In fact, studies show that even a short course of meditation can increase levels of IgA and improve immune function. For both men and women, taking stock of the health of your immune system on a regular basis is not only going to keep you from getting sick, but it will help you age more gracefully, look better, and prevent the development of diseases such and cancer down the line.